Advanced cloud software for organizers of awards, employee recognition, grants, scholarships, pitch competitions and more to manage submission, evaluation and award of results, online. "A tool in which all award organisers should be using .. "
The ease of making the software work for us as and around our awards submission and judging process without having to change requirements and processes. Entrants and judges are very impressed by how user friendly the software is. There is nothing that I dislike. Yet! If I had to really think for the minimum of 40 characters I would say it would be nice to be able to design your excel export so that you could choose what columns and information is exported. The time saved on the submission process is the most valuable benefit to the business. Office is able to concentrate on other tasks rather than inputting submissions. Integration for sponsors is also beneficial with the choice of branding makes everything very professional and seamless increasing awareness and credibility. I always receive prompt responses and solutions to my issues and enquiries. Expertise, professionalism and customer orientation are the main reasons why I like working with the Award Force team. They are always ready to explain things again and again and always ready to jump on a call as necessary. The Salesforce integration isn't advanced enough for us to use, so we have to do things manually working with our business intelligence team. The team understands the business' priorities and goes beyond its daily tasks to find innovative solutions to our needs. The platform is easy to personalise and brand, and all our internal and external stakeholders, the awards team, the judges and the entrants, find it easy to use. Other awards platforms don't have all these benefits at once. What Awards Management solution do you use? We found we could do exactly what we wanted and found things we didn't know we wanted! The platform is user friendly, all team members where able to use it without hours of training required. After 12 months, we have yet to find a fault! After some consideration we ditched our old platform and moved to Award Force - best decision ever, everyone can use it - you don't need hours of training! Excellent Platform! We manage our awards with precision and able to share results with sponsors with extreme ease. "Great time-saving product which makes admin a breeze!" - We could see which categories were the most popular and which weren't filling up at all really quickly and transparently which meant we could help support our internal teams with client outreach. Before using Award Force, all of our applications had either been on paper, which required a lot of manual work, or on a survey form which also meant we had to pull the data from one system to another. Having everything in one place for applications, judges and admins, meant we saved a huge amount of time pulling all of the packs together for this year's Judging Round. "Successfully established a Music competition with many unique requirements"
The skill, service and involvement by the lead technicians and support staff. The solution came together and works very well. Solution developed met ALL of our long list of requirements. Nothing I dislike, but maybe a little more online tuition being available. We did a thorough requirements specification PRIOR to even evaluating products - I believe that has been a key for a great solution. We undertook a project to sponsor a local radio station to run a music competition with a prize being awarded to monthly winners based on receiving the most votes as registered into the system. Entrants submit their songs and other details for the DJ's to review and select for airplay. Listeners vote on each months songs played. Any time i had a question or a concern they got back to me very quickly. Whether it was my re Megan in Oregon or someone else in Australia or Europe they were always there with any help i needed. "An excellent and & great service.."
The app has been very well designed - a lot of thought and feedback went in to it, so it's easy to use and effective. We have had only a handful of minor issues from users, and when Award Force was contacted, they responded promptly, dealt with, and resolved each enquiry within a short time. They were professional & friendly in manner. I found nothing to dislike , I can highly recommend Award Force. Well worth discussing your needs, Award Force is very thorough. No problems, and benefits have been having a great app designed and excellent support. "Award Force for SPI Asia 2018 a Huge Leapfrog from 2017"
Easy usability both for managing submission ang judging. I manage the entire process, especially the final judging. Results were quickly available without hassle. Seeking support from the support team. So much steps and subscribers are the ones actively pursuing them. It should be the support team who shoul reach out. Example, when we tried to request for a meeting and notified the support team that we will have our final judgingbon a specif date, we got a reply telling us to sschedule which was no longer timely. 2. Credibility in the process considering that our program is an award-giving. It makes sense to have a great platform. 3. Easy usability. We had a tedious process when we did it manually last year. Award Force has a easy-to-use, simple layout but which includes everything you could want in a platform. The design is intuitive so you don't need to have any previous experience in the platform, or have used anything like this before. It's great for tracking and sharing information between judges and users. There's very little to dislike about this product. It was slightly difficult learning how to export data. We've been using Award Force as a submission and judging platform. It's great to use as a portal for both these activities, especially through the Dashboard interface which is comprehensive. Would like a little more help with training (or more of the online stuff done for me!) but that is more due to my very low level IT skills. Taking the Awards online has been a very positive move for the business and Awards Force have delivered a user friendly, simply product that is easy to use for staff and entrants. Great service from the team, especially Carl. Sometimes the backend of the program is a little daunting but once you get it, its not that bad. The team at Award Force is top notch. Very responsive (even for being in a completely different time zone - Australia) and is even willing to jump on calls with you to help you with any issues. The platform is great for the user as well. I also love how easy it is to customize the platform to even change colors of buttons to match your themes. Streamlining our voting process for our awards shows is our primary use. The benefits are having a one stop shop for our nomination/voting process. The website is extremely easy to use. Once you understood the areas and order in which things had to be done it was great. Definitely take up the offer to view the platform and talk out any questions you have. The employees are very supportive of your awards and want to help improve the process for your nominees. File size uploads for nominations and the administration behind our limitations in the past. The platform allows for easy reporting and the ability to assist nominees throughout their nomination process. "Very happy with this service"
It's a bit expensive considering it's mostly just a template and I maybe need about two hours of customer service support each year. I'm not sure whether we'll be able to work together next year because we need Award Force to be flexible with their contract (many things don't apply to us and our lawyers are not comfortable having them included). Easy template to roll over into the next year, new features being added often that make scores easier for us to calculate, nice to be able to refer to and download entries from previous years. Hi Crystal - thanks so much for your lovely review, and I'm glad you're happy with the service. We work hard to ensure Award Force saves you time, which includes your need for customer service. That does reflect in the cost - investing in rock-solid software that improves and innovates constantly. "Great piece of software, very enjoyable to use." Award Force is very user-friendly and a nicely designed piece of software that seems to have been well researched with regards to the needs of its users. In five years or running awards' programmes, it seems to offer solutions for most of the problems I have encountered within these five years. This only issue I have with Award Force is that I don't have enough time to spend on it. I run the marketing and comms for various brands within BiP Solutions Ltd, so multi-tasking is a big part of my working day. I know there are things I am doing on the software that could probably be done in a much quicker way, but lack of time to research and play with the software lets me down. So far, I have no dislikes about the actual software. My previous comments should qualify here. Our main concern was managing the growth of the GO Awards brand. Since 2012, the size of the Awards have double nationally and one of our regional awards' programmes has nearly quadrupled in size. We have just launched into two other territories within the UK and to facilitate this growth and expansion, we needed a a software programme we could rely on with regards to expressions of interest, submissions and judging. We have already used the software for two territories and are currently nearing the end of our National UK Awards programme - our largest GO Awards. All user and judge feedback so far has been very positive. How easy it is to configure the system for a variety of purposes. The support offered by the Award Force team (exceptional). Feedback is added to the roadmap and changes are actually implemented. In terms of functionality, this is a great product. What makes Award Force outstanding is the quality and availability of support and the continuous addition/improvement of features. I couldn't do my job without it. Award Force takes a previous very manual, time intensive process and automates and streamlines the experience for back-end administrators (me) our entrants and our judges. We no longer have missing applications, VIP volunteers unable to judge as agreed or users unable to complete applications. Instead, we're able to collect the information we need in a variety of ways (text, PDF, video) and present this professionally to our judges and senior executive. AwardForce is customisable to take on the look and feel of your company branding and is relatively simple to use. While it wouldn't be something one could use with no instruction, once you have had a little training the sytem is easy to navigate and customise to your needs. The support team are very helpful and do listen to suggestions and wants - there are a few items of functionality that have been incorporated at our request! A lot of the terminology is not in sync with ours and so it can become confusing, however we are aware that some of the discrepancies are from our side. Also some of the functionality is not very intuitive and it sometimes feels like things that should be easy to find are tucked away. However again, once you use the system a few times it does become easier to use. Ask for a demo, see if you can trial it for a month or two. It is very customisable, most of our employees do not realise it isnt part of our own software. 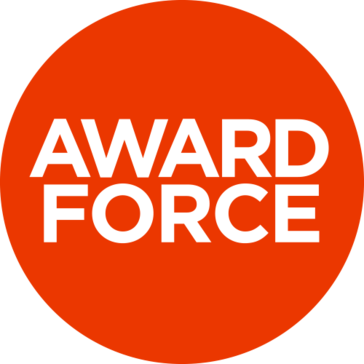 We don't actually have any awards that run through the system, but we use AwardForce for an internal initiative that helps our creatives flex their creative muscle and allows for constructive feedback on their work, ultimately resulting in much better work and case studies. For what we need, AwardForce is perfect, much better than its competitors that we have tried previously. It allows us to recieve and evaluate work from all our offices globally, using a bespoke scoring system and judges feedback. "Award Force is like having a full-time employee running your awards program." Award Force allows me to match the complexities of the industry we are recognising, with the seemingly endless set of functionalities and a suggested framework to apply if for best results. It takes our submissions and judging capabilities to a level of professionalism that the industry demands. It's absolutely worth the cost and the time spent learning how to use it, if the field you are recognising is nuanced and complex. It has allowed us to boost the level of professionalism that the industry demands for our platform to have. "Bespoke feel with off-the-shelf pricing"
Award Force offers a huge variety of possibilities. Almost every potential way of handling files, entry, judging, scoring that we have considered since implementing our first digital judging system almost 15 years ago has been addressed along with a plethora of solutions that would have been far too expensive for us to build into a bespoke system. While a huge amount of time and cost is saved in the development process, there is some added work in configuring all of the data. However, the work put in in advance of launching each stage is offset by the ease of use for entrants and judges. Our awards are crucial to our business success and Award Force simplifies the process for entrants and judges. This has a knock-on effect on the reception to our awards and to their professional perception. "Feature rich, easy to use and powerful"
The fact that it gives you absolutely everything to run an awards event. From submissions and comms to judging. There's very little to dislike although sometimes the pdf conversions get a bit confused when trying to apply markdown to text. Also, registration in china involves manual intervention due to google apps. Absolutely use them! There's nothing not to like about the software and the support is fantastic. The biggest issue for us was giving a platform that would work worldwide as we have locations across the globe and this solved this along with other issues raised in previous years feedback completely. Functionality, dependability, stability. The Awards Force platform is the best in its class. It has streamlined many of our critical processes, increased efficiencies, and added professional-looking functionality. All of this with amazing customer support. Absolutely nothing! We always await their constant updating and added features. Switching to Award Force has been the best decision the SIA has made in the last decade. Intuitive UX, reduced staff time, judging portal, winner gallery. Reduced user and judge inquiries. "a simple platform that is built for purpose"
It is highly customisable yet quite simple. And if you DO get stuck their support is quick to respond. Whilst it is a good system it doesn't do everything. We wanted voting options for a part of our awards programme and it didn't really suit our needs for this. check if it plugs into your existing CRM. For us we are keen to connect it to salesforce soon. A purpose built platform such as this has given us the ability to host a lot more of the awards process online, including judging. "Taking the drama out of amazing Awards Events"
Starting could not have been easier, we moved an existing event into Award Force, our engagement with entrants, judges event sponsors went beyond what our expectation were. "Good program for administrating awards process from start to finish"
Very easy to customise exactly what you want the interface to look like for those who are submitting nominations. The judging process was easy to customise too, which was helpful as I had lots of judges looking a several different categories each. Everything was pretty good, apart from we had a couple of issues where entries didn't save properly, and some of the data that came out in an excel report had project contributors details all lumped in together in one cell which wasn't very helpful. I expect all this can be fixed though as the support team were very helpful and attentive. We have a large number of Awards Ambassadors collecting nominations from many teams of staff. Award Force is a good way of bringing all the information together simply, and being able to review it all at a glance as an administrator. I was able to troubleshoot for the Awards Ambassadors by updating things for them in the system, which were quickly reflected as it all works in real time. "Great service and easy to use"
using the system has increased the efficiency in the way we are able to judge our awards programme. More productive and allows for better time management. Nothing! really enjoy the interface and ability to brand. It's a great system for data, the amount of times we've wanted to get feedback for entrants but are working on our notes and not online was ridiculous. This system makes it easy for us to distribute information to entrants which makes them understand their entry and why it did or didn't make it through. It also it perfect for judges who are unable to take time off work and want to just read through entries in their own time. There really isn't a better system! The benefits have been substantial! We've been able to increase entries, use the data for marketing purposes and increase knowledge to our entrants. "AIM Leadership Excellence Awards (ALEAs)"
It's ability to collate and filter applications. The back end of the system is not very user friendly - you need training to be able to use it properly. This program dramatically reduced the number of admin hours required to collate information and contact all applicants. Very simple to set up and to use for administrators, entrants and judges. It obviously takes time to set up, but it's worth it when it's finished. Would recommend to save time and ensure your entrants and judges have an excellent experience. Processing entries manually was very time consuming and the system has reduced this time and saved staff resource. Also have reduced judging day from 2 to 1 due to ability of judges to pre-judge and score. How customisable it is; that everything can be done online; level of support and response; that it can be replicated one year to the next. Initial setup requires a fair bit of support; some terms are confusing; limits on customisation. This was the first year of using an online system - it eliminated lots of handwritten forms, a ton of postage and media in different formats. Hugely time-saving and well down very well with judges. Took care of all the complex matters with minimum fuss. They handled complicated, dispersed multi-user contributions very professionally. Particularly friendly telephone and online support at all times of the day was a valued service. Wish I'd found them sooner, we unfortunately lost time trying to solve the matter internally. Highest quality product with unbeatable service and support. The system was easy to use and most of all the service I received from the staff there was brilliant!! "2016 Victorian Public Healthcare Awards"
The system works really well and is an easy, efficient and time effective way to receive applications for our program, collate informaiton on applicants, contact applicants and easy online judging. This saves us a lot of time in administrative tasks as well as less printing for judging panels. It has made a great difference to our working opperations for our Awards program. From the start til the end. It was an easy peasy, we were able to use it with no hassle. Time saver and made us look so professional. The only thing I don't like is scheduling of con call in case we need assistance. "Award Force & The Vettys"
The look and feel, ease of use for reports, support and assistance on multiple continents. Advertising and marketing contest that recognizes the amazing work done in the veterinary and animal health field. "Club Administrator, Perth Advertising and Design Club Inc."
I think the judging process needs to be more agile. Enable different methods of judging rather than a scoring system which we don't really use. Clean look to the program. Ability to manage the online entries as project manager. The entry downloading process after judging to prepare for our gala awards program. We are organizing an Industry awards program/event. AF provides a more professional product for the entry and judging processes. The system is easy to use and intuitive. There were no features that I particularly dislike. Ease of use for entrants and judges. Time saving for organiser. * We monitor all Award Force reviews to prevent fraudulent reviews and keep review quality high. We do not post reviews by company employees or direct competitors. Validated reviews require the user to submit a screenshot of the product containing their user ID, in order to verify a user is an actual user of the product. Hi there! Are you looking to implement a solution like Award Force?